TASK Security Systems is an Irish owned company, specialising in the design, installation and maintenance of electronic security systems througout Ireland since 1974. Our nationwide service encompases the installation of CCTV Monitored Systems, Intruder Alarm, Fire Alarm systems and Access Control. As Ireland's longest established Security company, our team provide a wealth of knowledge and experience unrivalled by any other operator in the field. This experience provides our clients with the best backup service available. 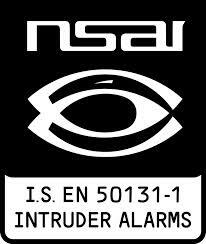 All TASK Security Systems installations are installed and maintained to current NSAI standards.